Mohan Bisht - Independent Trekking Guide. RECOMMEND Me Now. No customer ratings yet, be the first one to rate Mohan! Born in Wan, Mohan has completed his graduation. Mohan developed interest in the trekking field, after he went with a tourist on the Roopkund trek, he liked it because trekking made him feel good and it was close to home. One of his customers then made a website for him, which helped him get customers and he decided to make it his profession. 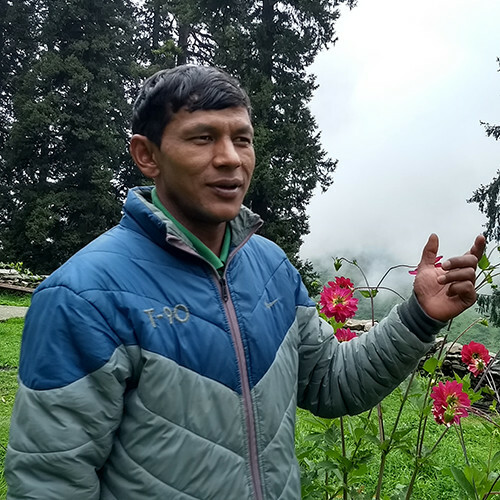 Mohan likes trekking because it gets him to meet new people, he also likes the beautiful meadows he comes across in his treks and the pretty scenery he gets to see. Mohan is a member of the Ali Bedni Sanrakshan Samiti (Ali Bedni Protection Society). The society has identified fixed camping sites for trekkers so as to preserve the Meadows. 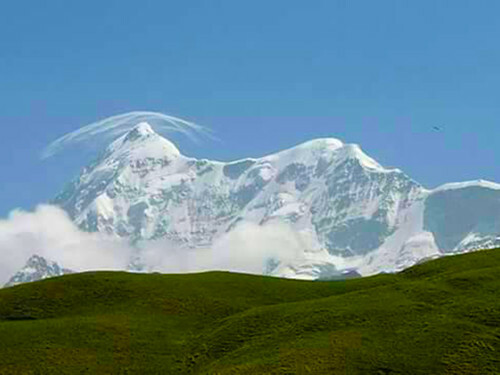 Roopkund trek is Mohan’s favourite, and he is one of the most experienced guides for this trek. Some of the famous trekkers in India have trekked with Mohan. Mohan can understand english with some effort and knows few words in english in order to communicate with trekkers who only understand english. While a kid, Mohan liked to play Cricket, he continues to participate in local cricket tournaments in his village. When asked about Conservation, Mohan said he always brings back any garbage generated during the trek, from small wrappers to left over food. He camps at the designated locations only.